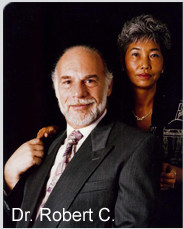 The Dr. Robert C. and Tina Sohn Foundation has been formed to continue the vision and legacy of its founders. The Sohns lived their lives connected to both the spiritual and temporal worlds, committed to healing the spirit and at the same time preserving the planet and our physical beings. Their vision of a “wholistic” life, lived synergistically with nature and the environment, in which all people can breathe clean air, eat wholesome organic food, and be exposed to the wonders of music, dance and literature, continues in the Foundation. Although the primary focus of the Foundation is as set forth above, the Foundation has the flexibility to contribute to such other causes as the Trustees determine.